Blog Is Florida Poised to Legalize Recreational Marijuana? Is Florida Poised to Legalize Recreational Marijuana? As marijuana decriminalization moves slowly across the country, the first step tends to involve legalization for medical use. That recently happened in a landslide Florida vote. With a 71.3 percent to 28.7 percent margin, Amendment 2 became the first significant step in the direction of legalization. Some fear that this is also a step toward a higher rate of marijuana addiction. Fortunately, true addiction to marijuana is not as common as addiction to some other substances, but that is not the whole story. Marijuana use disorder happens with disturbing frequency and it can lead to addiction. Florida drug rehab can help. The National Institute on Drug Abuse (NIH) says four million Americans were diagnosed with addiction to marijuana in 2015. A 2017 Gallup poll showed a “record high” level of support for decriminalizing marijuana use. Sixty-four percent of respondents say pot should be legal, which Gallup says is dramatically higher than poll results in the past 50 years. Most states where support is strong eventually move in the direction of decriminalization. In Florida, when Amendment 2 won by a significant margin of 71.3 to 28.7, that only legalized marijuana for medical purposes. This development, however, ranks Florida #5 in states most likely to legalize the drug. At present, Floridians with an approved, diagnosed medical condition, such as PTSD, glaucoma or Parkinson’s disease, may buy medical marijuana legally and use it under a doctor’s supervision. But they cannot smoke it. Smoking appears to be a political holdout, and it is one that proponents of legalization say must be overcome first. If medical patients cannot smoke pot, legal recreational marijuana use is unlikely to pass. Just because marijuana is legal for certain medical conditions does not mean legalization for recreational use is on the horizon. If it happens at all, it will likely take some years. The News-Press says California waited 20 years after medical marijuana became legal for legal recreational use to come into effect. Legalization usually means that the state controls how much a private citizen can buy or grow, where they can buy it, and whether or not they can sell it. Marijuana is still illegal at the federal level. Addiction to marijuana is a long-debated subject. While proponents argue that it is impossible to become addicted to the drug, science says something different. Marijuana use disorder is not uncommon. About 30 percent of people who use marijuana may have some degree of marijuana use disorder. NIH says that in teens who use marijuana, that number is higher. One of the biggest challenges that accompany marijuana use and the possibility of addiction is the likelihood of using other drugs. Gateway drug arguments notwithstanding, most addicts who test positive or self-report using opioids, cocaine, or another drug also use marijuana. 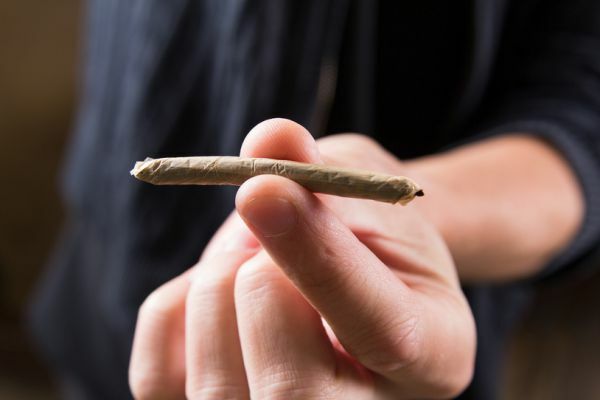 The most at-risk group for addiction appears to be teens, who could never use marijuana recreationally even if it was legalized. However, with greater accessibility for adults, teens could get their hands on the drug much more easily and perhaps with no more law enforcement involvement than underage drinking has now. Marijuana is probably on the path to universal legalization in time. Many believe that prohibition does not prevent drug abuse and crime, it encourages it. The Washington Post says that in Colorado and Washington, negative effects that many braced for did not happen. Traffic fatalities stayed about the same and so did teen marijuana use. However, every step in the direction of easier access should be taken with caution. The more people who have access to marijuana, the more people who may develop marijuana use disorder, which comes with mood swings and irritability. If teens gain access to a steady supply of marijuana, they may develop a bonafide addiction. It can exacerbate a pre-existing addiction to another substance, as well. If you or any of your loved ones have an unhealthy attachment such as marijuana use disorder or an addiction to the drug, contact us now to learn about our available treatment programs.